The Helsinki metro is set to continue from Ruoholahti, Helsinki all the way to the western edge of Espoo. 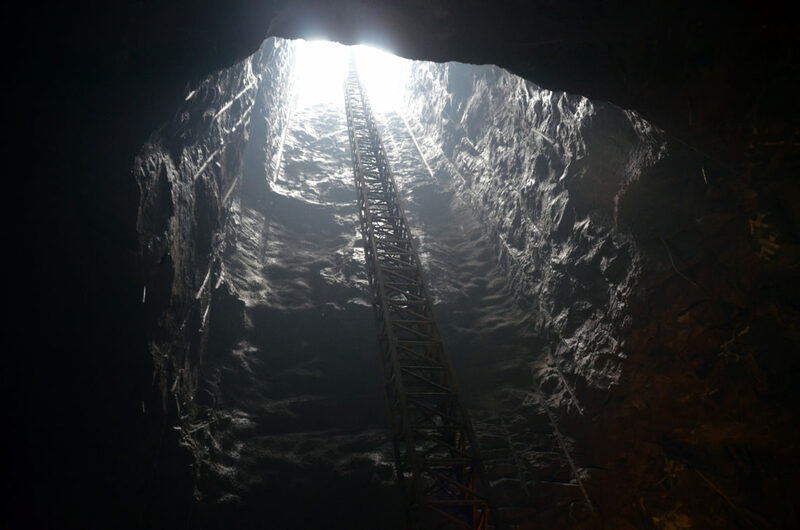 When the western extension is completed, the metro will serve approximately 170,000 passengers daily. 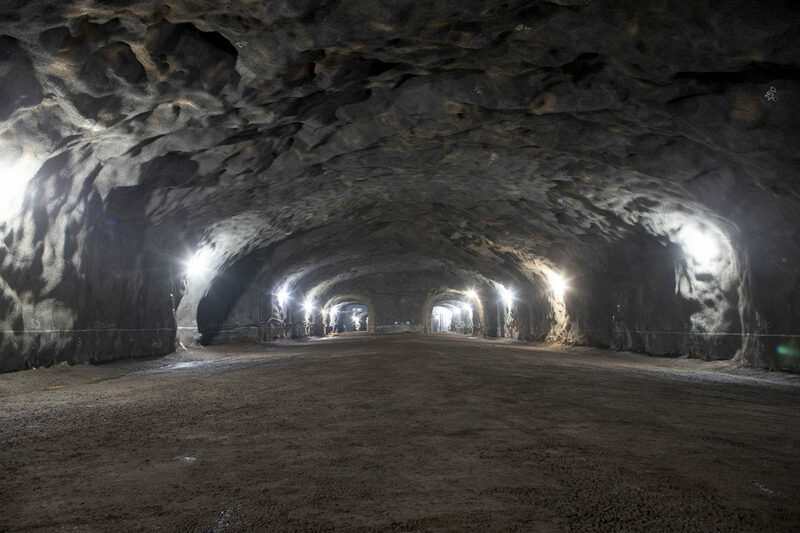 The first construction phase, a 14-kilometer-long underground rail line from Ruoholahti to Matinkylä with eight new stations opened to traffic in November 2017. 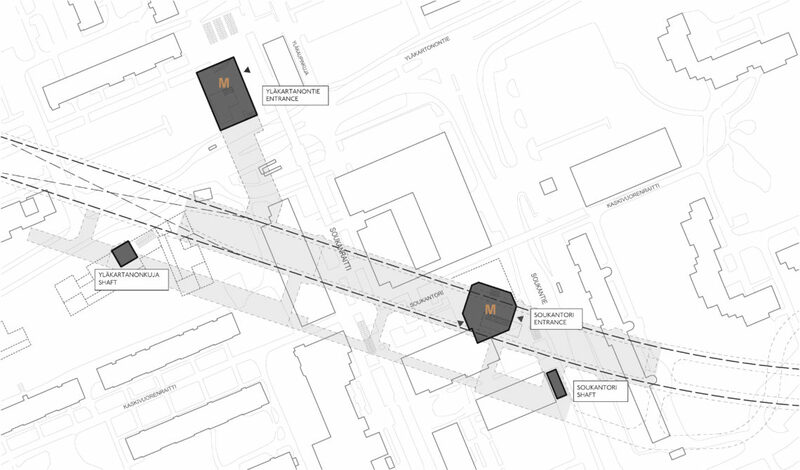 Of those stations, ALA has designed the ones in Keilaniemi and at the Aalto University campus in Otaniemi. 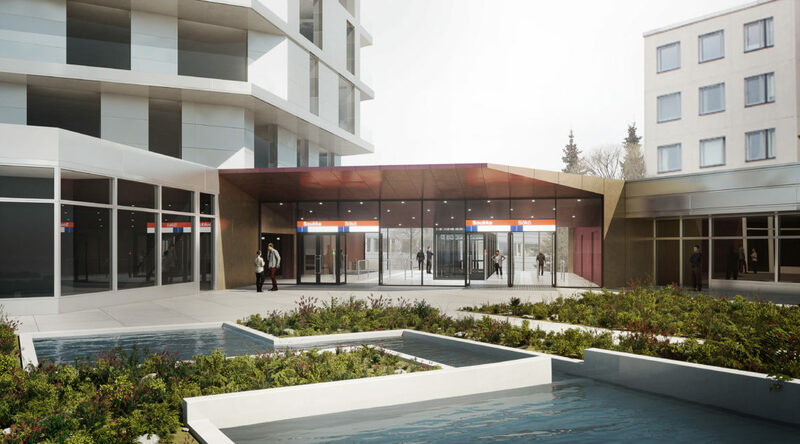 The second construction phase of the extension, the Matinkylä–Kivenlahti stretch, will consist of five stations along a 7-kilometer-long metro route. 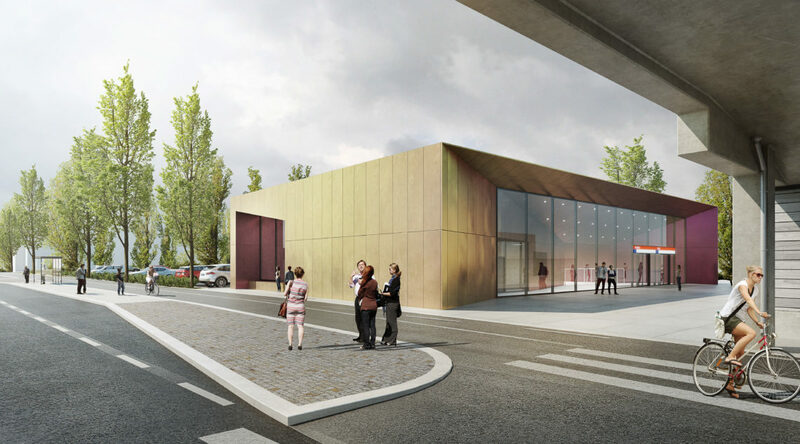 ALA is designing the Soukka, Espoonlahti and Kivenlahti stations. 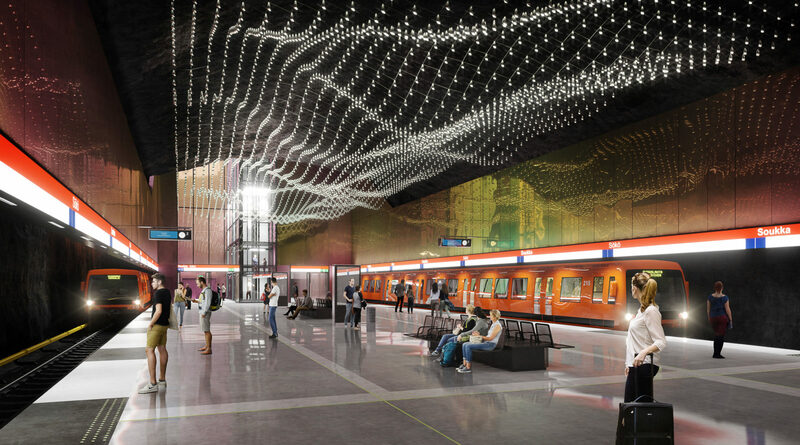 The excavation of the metro tunnels began in late 2014 and the construction of the stations in 2016, metro traffic between Matinkylkä and Kivenlahti is slated to start in the early 2020s. The metro will run in a tunnel also for this entire section. The Soukka neighborhood in Espoo is like a 60’s utopia – a symbiosis of nature and modern technocracy centered around skywalks and deck structures. 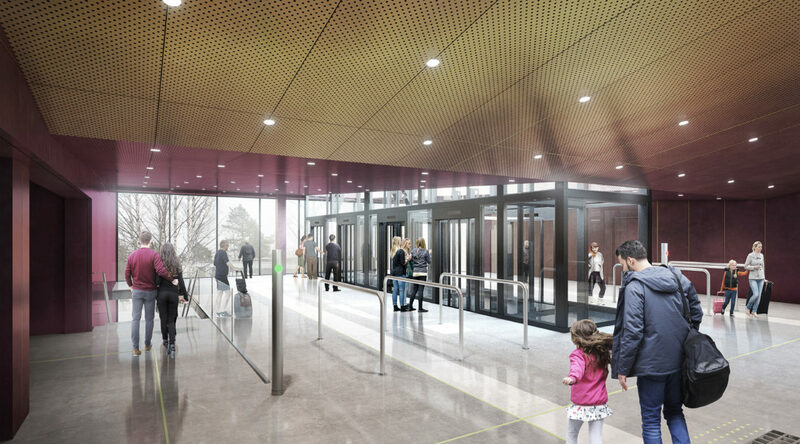 The themes defining the design of the new metro station are modernism, punctuality and sharpness. 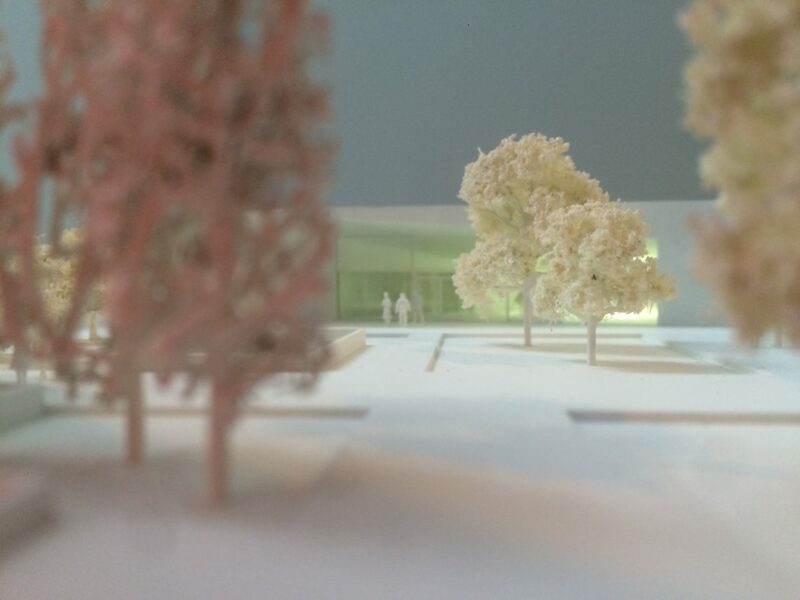 The entrance pavilions are unfaltering – every nook and corner is razor-sharp and every surface paper-thin. Following modernist traditions, the surfaces will have colors, but lack material feel. The subdued tones are contemporary and unabashedly trendy. As the station ages it will become a relic of the 2020’s.